Thornton Paint Pals is a professional painting company located in Thornton Colorado, servicing not only Thornton, but Erie, Lafayette, Louisville, Boulder, and the neighboring areas. 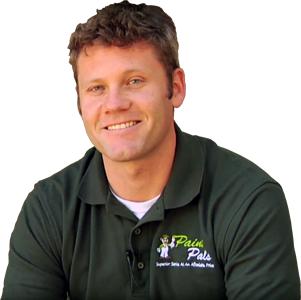 We plan to franchise across the front range and offer our services to all of Colorado. Our mission is to become a leader in paint, staining and deck restoration contracting, offering superior value through quality service and the highest level of craftsmanship. We are dedicated to first establishing a trusting relationship, and delivering on your satisfaction with a quality paint job that you will be proud of for years to come. Thornton Paint Pals was originally started in Fort Collins, CO in 2009 as a residential painting company. After numerous years of working in the painting industry, we realized there was a opportunity to develop a leading-edge paint contracting service focused on providing excellent craftsmanship and superior customer service at a competitive rate. Our primary focus is internal and external repainting and deck staining, but we are capable of servicing commercial or residential projects of any size and type. We are passionate about high quality work and are focused on providing a premium service. 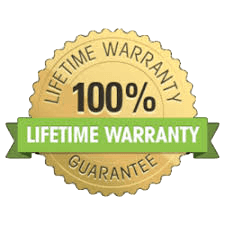 Which is why we are the only company to offer an all-inclusive lifetime warranty, it includes and covers all labor and materials to fix paint failures. If a paint failure occurs while you’re under warranty simply call us and we will schedule the repairs immediately.